Just published! “Back to the Garden” is a nonfiction essay on prayer during troubling world events. Read more at http://www.arthouseamerica.com/blog/back-to-the-garden.html. 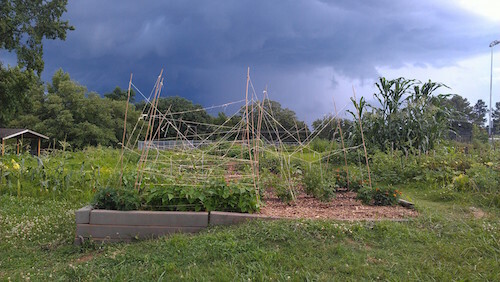 Trellising system in the community garden. Photo by Sheryl Cornett. 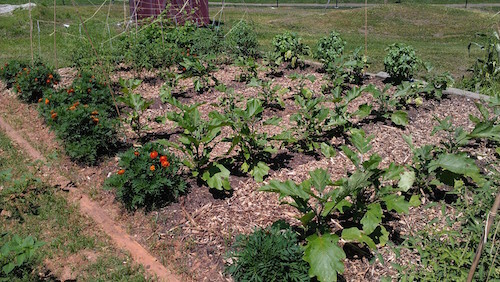 Rows of veggies in the community garden. Photo by Sheryl Cornett.